This is the time of the year when McDonald’s releases their Coca-Cola glasses to its customer. McDonalds Coca-Cola Glasses has been releasing year after year different Coke glasses designs and some with various memorable designs, like as the 2008 Beijing Olympic Games Coca-Cola Contour Glasses, the 2011 Coca-Cola Glasses in shape of a Coke Can. This year will be my first time to collect McDonalds Coca-Cola glasses. 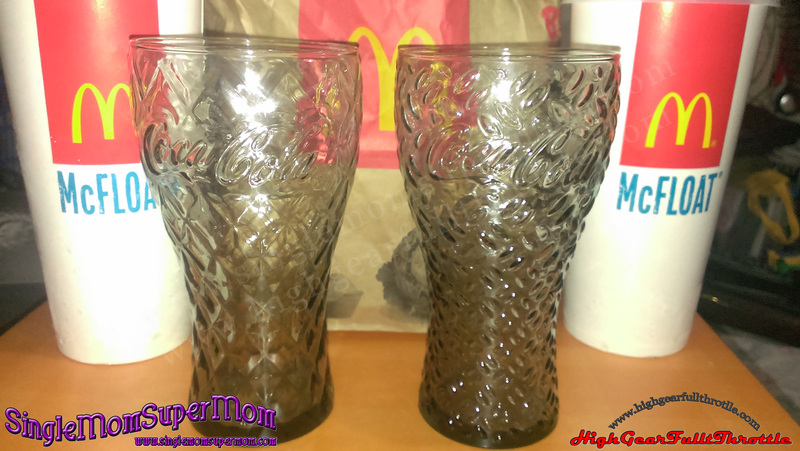 In collecting the McDonald’s Coke Glasses, you just need to add PHP 25 to any purchase of a McDonald’s Extra Value Meal. You can also purchase with their BFF Burger or Chicken Bundle and breakfast Extra Value Meal. The McDonalds Coca-Cola Glasses are called the Modern Glass Collection because of its modern imagery and contemporary design with six visually distinctive patterns. The patterns are diamond, linear, mosaic, pixel, ripple and steel. You can avail all of these at any McDonald’s store nationwide, via Dine-in, Take-out, drive-Thru, McDelivery (86-2-36), www.mcdelivery.com.ph and using the McDo Ph App. For More information, you can check out their Facebook page: www.facebook.com/McDo.ph, @McDo_Ph on twitter and Instagram.